This Child Cupcake Costume is one sweet Halloween costume! This food costume will turn your kid into a decadent dessert, complete with a whirl of pink frosting and cute cherry hat. It's a costume idea as irresistible as a cupcake itself! Fits size 7-10. 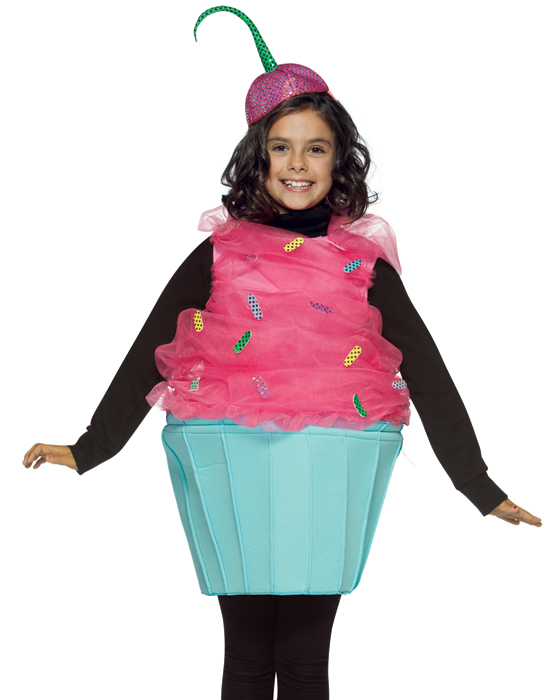 Availability: This Child Cupcake Costume takes approximately 1 business day to leave the warehouse plus transit time. 55"-60" 27"-29" 34-40 29"-34" 35"-39"